Very impressed with the overall fit and finish of these pliers. Simple to operate with very little slop in the mechanism. 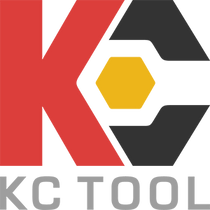 Was also a great first experience with KC Tool and I will definitely be a repeat customer! It's all true, they really are that good. I bought these even thought I have a pair of Milwaukee pliers just like these to see how they compare. The build quality here is much better, and they grip more securely and, even better, open wider because of the curved design. The Milwaukees are still good, but this feels like a lifelong tool. I prefer the smooth handles however because of ease of cleaning. Put these and the 10" version to work right away pulling nails from sub floor and they worked great. I have been using knipex pliers for years. I've had the alligator pliers and loved them. The cobras are a great upgrade faster one handed adjustment. The 7 inch size is perfect for the Motorcycle tool kit I carry. This is mt 3rd Cobra pliers and I have to save all of them are impressive in terms of grip, function, durability, and utility for many different jobs.